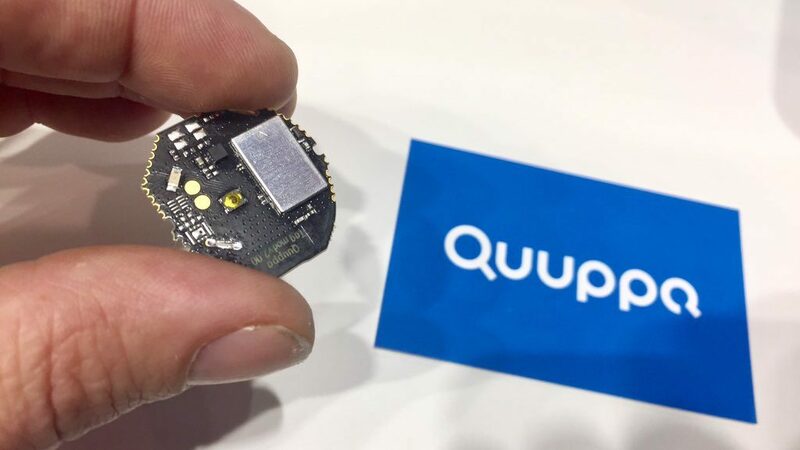 Quuppa, a company that delivers the world’s most advanced indoor positioning technology, today at Mobile World Congress 2018 announced the launch of the Quuppa Tag Module, a ready-to-use, Bluetooth Low Energy (BLE) hardware module that can help tag manufacturers speed precision location solutions to market. The Quuppa Tag Module can be used by any third-party manufacturers to build a Quuppa-compatible device with precision location capabilities. The module’s PCB-based form factor allows it to be used in a wide variety of devices, and it is already being used by Quuppa partners to build Quuppa-locatable keycards, ID badges, bracelets, asset tags and even hockey pucks that require precision location capabilities, long battery life and low price. The feature-rich yet cost-effective Quuppa Tag Module offers superior location performance down to the centimeter level, as well as economical power consumption. It has a variety of extra functionality included, including capabilities for motion detection, inbuilt LED, button, and support for additional sensors and functions such as buzzers, and more. The Quuppa Tag Module has been radio-certified for several markets (CE, FCC, IC, Japan, Korea), allowing device manufacturers to speed their products to market without having to focus on elaborate, costly and lengthy certification requirements. Quuppa’s technology utilizes a unique combination of BLE and the Angle of Arrival (AoA) methodology, as well as its advanced location algorithms that have been developed over the course of more than 15 years, to deliver the most precise location capabilities. The BLE standardization for real-time location services (RTLS), using the AoA method is forthcoming, and Quuppa is considered the pioneer of the BLE standard for global indoor location services based on its work using this method. Organizations across a range of industries, including manufacturing and logistics, retail, healthcare, sports, law enforcement and security, government and others rely on Quuppa and its ecosystem partners to unlock the full potential of indoor location-based services without compromising accuracy, compatibility or cost. Quuppa has raised the bar for indoor positioning, delivering the world’s most reliable, accurate indoor location positioning thanks to its unique combination of Bluetooth Low Energy (BLE) and the Angle of Arrival (AoA) methodology, as well as its advanced location algorithms that have been developed over the course of more than 15 years. The Quuppa ecosystem has more than 70 partners around the world today who are using Quuppa’s open positioning platform to deliver accurate, cost-effective indoor location solutions to companies in a range of industries, including manufacturing and logistics, retail, healthcare, sports, law enforcement and security, government and others. Visit us online today at www.quuppa.com.